When The Flash returns for Season 2 next week, we already know that things are going to get pretty insane, what with all the Earth 2 business and the big baddie Zoom aiming to terrorize everyone. 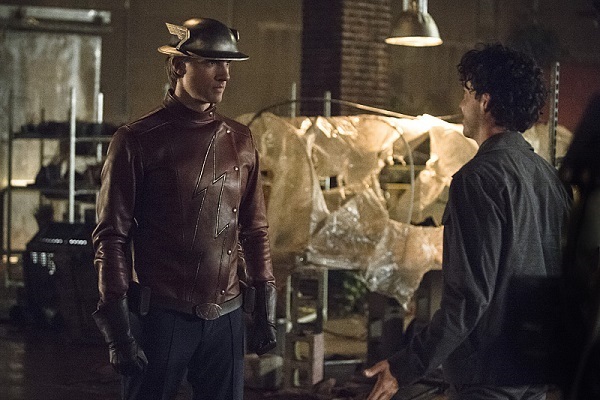 And it looks like another villain is making his way to Central City, as you can see in the image below, which features Jay Garrick talking to Eddie Slick, better known to comic fans as Firestorm’s foe Sand Demon. 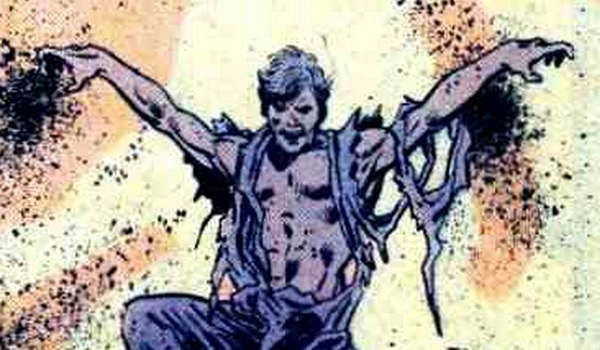 While one might think that this character would have been revealed ahead of time, the only reason we know about him is because The CW put out the image, which comes from Episode 2, called “Flash of Two Worlds.” It points out that Kingdom Hospital’s Kett Turton will be playing Eddie Slick, and the actor’s IMDb page says that he’s playing both Slick and the metahuman alter ego Sand Demon. There’s not a lot to infer from the picture, but it seems like we’ll be meeting Slick before he turns into the sand-morphing antagonist. He looks like he’s trying to appeal to the good side of Garrick, who is a Flash from Earth 2, but Garrick’s stone-faced demeanor doesn’t make him out to be the most understanding guy. We can only guess as to how Slick will enter into the lives of Barry and the rest of the S.T.A.R. Labs team. First appearing in 1986, Eddie Slick was a boxing manager (and Martin Stein lookalike) who supplied steroids and played a part in the crime syndicate at the time. Firestorm saved Slick’s life, but turned his entire crime organization into the cops. No one was happy with that, and their solution was to bury Slick alive in the Nevada desert. But instead of dying, he somehow mutated into a sand creature and gained the power to manipulate sand however he wanted. He ended up dying at the hands of Firestorm, which is certainly a possible fate for the character in The Flash universe. But will it be the Firestorm with Ronnie, or the one with Jay? 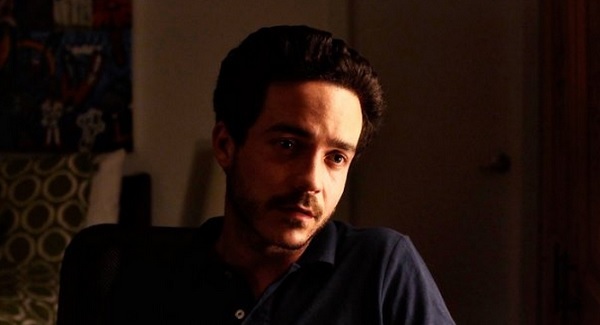 Getting his start on series like The X-Files and Millennium in the late 1990s, Kett Turton has been in a bunch of series over the years, with the WB fantasy drama Dead Last and the Stephen King-scripted Kingdom Hospital as his most notable projects. He was most recently seen on Blue Bloods and Forever, as well as in another trip to the DC universe for an appearance on Gotham. Tune into The Flash Season 2 premiere on Tuesday, October 6, to see who really saved Central City in the Season 1 finale.